A series of successful, calculated musical risks push The Foreign Exchange to new heights on Love In Flying Colors. 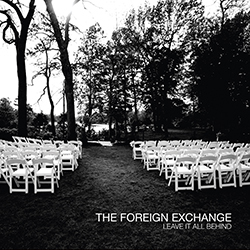 Ever since a series of e-mail exchanges between North Carolina-based emcee Phonte of Little Brother and the eclectic, Dutch producer Nicolay introduced the world to The Foreign Exchange, fans have grown accustomed to a brand of Hip Hop where lyrical prowess meets digital masterpiece. 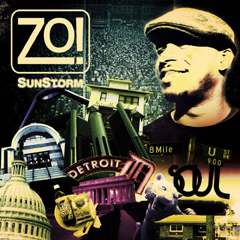 But as any Hip Hop head will tell you, the genre is in a constant state of evolution. 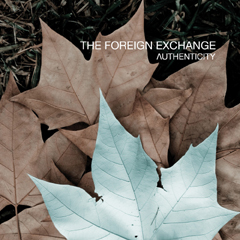 The Foreign Exchange's success is largely built on this principle, taking underground Hip Hop and blending it with the soothing sounds of piano chords and keyboard solos that drift in and out in-between the familiar snare hits and high hat clicks. The duo's latest project, Love In Flying Colors, uses this formula as its base, but pushes the boundaries at every given opportunity, welcoming an increased computerized presence and a much heavier reliance on R&B-infused vocals from Phonte. 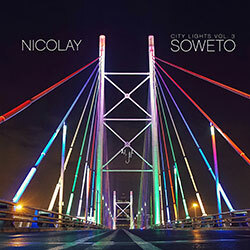 Ultimately, it is these risks that not only push The Foreign Exchange to new heights, but test the limits of an often constrictive music industry as well, and Nicolay and Phonte seem anything but remorseful for their actions. 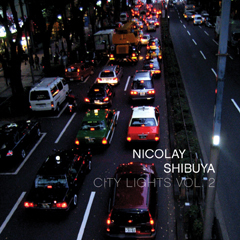 It's easy to picture the Nicolay's fingers floating across his keyboard, producing the types of sonically soothing electronic beats that have been known to make-or-break an artist's career. Tracks like "Call It Home," which was offered up to fans a few weeks before the album's September 24 release date, provide a wide range of digital melodies, mixed in with airy piano chords, a tepid snare drum and a breakneck paced high hat. 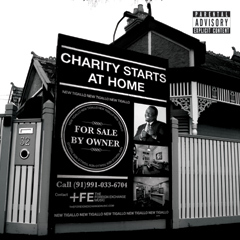 Phonte's addition to the track is just as peaceful, as the rapper adds smooth, heartfelt vocals--rather than rhymes--to the mix. "I'm so lost when I'm away / Tried so long to find a place / So I say, let's just call it home," sings Phonte on the chorus of "Call It Home," his voice melding perfectly with Nicolay's beat. 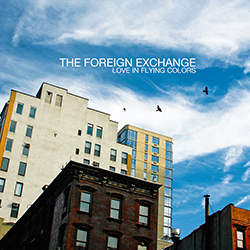 The Foreign Exchange's barrier-breaking sound may not be at home in a music industry that seems to encourage repetitive conformity, but nearly a decade after forming, Love In Flying Colors is the culmination of the group's signature niche. By the time Phonte and Nicolay were nominated for a Grammy in 2009 for Best Urban/Alternative Performance, their characteristic crossover sound had already begun to change, capitalizing on a style somewhere between the laid back beats of Nujabes and the introspective lyrics of Blu. Fast forward four years and they have grown even more progressive, slowly turning into a mix of experimental Jazz and R&B with a splash of Hip Hop, such as the eight-bar B-Boy homage that comes towards the end of "Right After Midnight." While this has left some fans behind, it has also attracted new listeners. As artists like Kanye West have continued to prove, breaking down the longstanding walls separating genres is ultimately good for the industry. But what many don't realize is that this risk also potentially creates a rift between the fans of the artist's former work and those devoted to the artist's new musical direction. Love In Flying Colors is no different, forcing fans to either go all in or pass up on the duo's latest work. 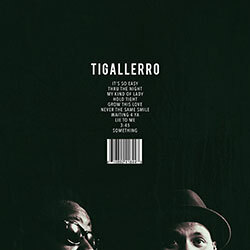 Only time will tell whether their latest 10-track project--which features songs like "If I Knew Then," that opt to replace Phonte's raps with guitar riffs and jazz flute solos that would make Ron Burgundy proud--will be able to hold onto those who came for Phonte and fell in love with The Foreign Exchange's eclectic sound. 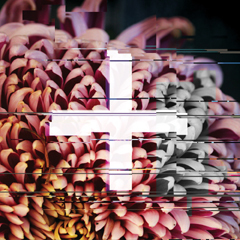 While it may not be apparent at first, the same core values that Nicolay and Phonte brought to The Foreign Exchange haven't disappeared; rather, they've grown and evolved. 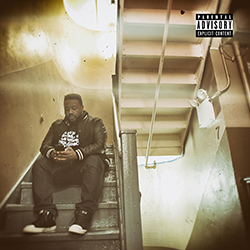 Phonte is no longer a twenty-something filled with angst experiencing the same struggles that inspire most of today's Hip Hop. 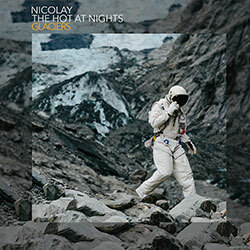 Instead he has a new set of challenges, and has shown maturity as he continues to adapt to Nicolay's love for elegant, sometimes sci-fi-sounding keyboard riffs with a turn towards R&B, a shift that suits him surprisingly well. Yes, it's true that most of today's commercially successful rappers have grown accustomed to singing parts of their hooks, but even they would admit they aren't all blessed with the most pitch-perfect voices. 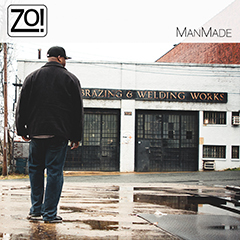 Phonte has had no such problem, sounding natural as he draws out his lyrics on tracks like "Listen To The Rain," singing a message of carefree serenity fitting of his impressive vocals. This isn't to say that the group can't revisit their past; a close examination of Love in Flying Colors--tracks like "Better," which has an unmistakably Hip Hop beat--reveals that neither artist has completely lost touch with their roots. Instead, we are witnessing a continued wave of artists willing to break the mold and follow their true passion: music. 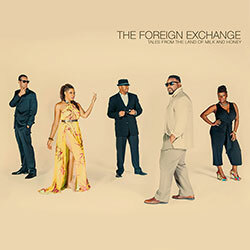 The Foreign Exchange have transformed themselves from a bastion of jazzy Hip Hop into a crossover group more akin to R&B's soulful beginnings than the underground sound that was synonymous with Little Brother. Ultimately, listeners are the beneficiaries. 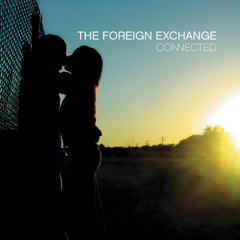 \nThe Foreign Exchange's success is largely built on this principle, taking underground Hip Hop and blending it with the soothing sounds of piano chords and keyboard solos that drift in and out in-between the familiar snare hits and high hat clicks. The duo's latest project, Love In Flying Colors, uses this formula as its base, but pushes the boundaries at every given opportunity, welcoming an increased computerized presence and a much heavier reliance on R&B-infused vocals from Phonte.